As you have probably already gathered, I am a huge movie fan. It's always been a passion of mine ever since I saw "Gone with the Wind" when I was five. When I was younger, it was nothing for me to go see several movies per week. I would make lists of the soon-to-be-released films and plot in my mind how I would get to see them all. Even when my children were infants, I would find a way to get to the movies. In those days, if you didn't see the film in the theatre, it was gone forever. But now, I tend to do most of my movie watching via DVDs. With movies coming out on DVD within months of their theatrical release, why brave the crowds, the kid kicking your seat, the candy wrapper rustling, teens running up and down the aisles and talkative seat mates when you can watch a movie on the relatively big screen in the relative tranquility of your own home? But hey, jolt from the past. Just went to a matinee with a friend and realized I missed the big-screen experience and being the first to see the latest flick, not to mention my recent foray into IMAX 3-D. So I now plan to add a "going out to a movie solo" day to my weekly retirement repertoire (which is rapidly filling up - blog day, project day, going out to the movies day, do nothing day...). And why not? I am now "one of those people," people you see wandering about on weekdays and you wonder why they aren't at work. 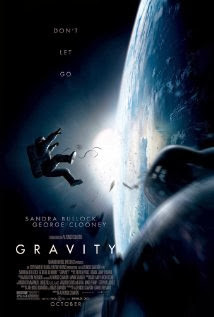 When Sandra Bullock says "I hate space" you really, really get it. Director Cuaron has created a very, very intense space thriller and it is enhanced by IMAX-3-D. In fact, 3-D is my new favorite thing. And George Clooney? Well, he's George Clooney. Ring, Ring, Ms. Bullock, Oscar calling. Ring, Ring, Mr. Cuaron, Oscar calling. True life enactment of Somali pirates taking a ship's captain hostage. Directed by Paul Greengrass and starring Tom Hanks, this is an edge of your seat thriller reminiscent of "Argo" in that you know how it ends, but it's still excruciatingly intense. Greengrass directed "United 93," the depiction of the heroes of 9/11 who perished on United flight 93. I remember seeing the preview for that movie and people booing because it was "too soon." Boo to them because that movie was an homage to heroes and he told it in a thrilling, yet respectful way. 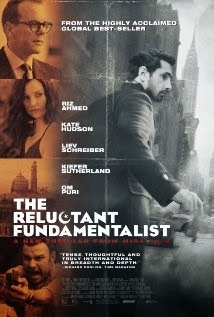 If you haven't seen that one, it's a must. Greengrass does the same thing here. 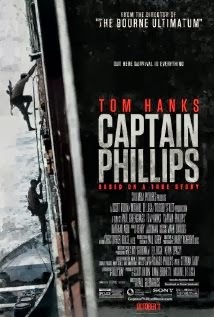 Phillips is a man caught by circumstance who manages to not give up. Greengrass is unflinching and clear in his storytelling which lends itself well to these true life dramas. Hanks is a good actor but he goes to greatness at the end of this film. Watch for it. Ring, Ring. Mr. Hanks, Oscar calling. Ring, Ring, Mr. Greengrass, Oscar calling. It's going to be a horse race for the Oscar between these two films. This is the story of British pensioners singing rock music in a chorus - it's a bit "Glee," a bit "Amour" and a bit "Young at Heart," the latter being a documentary about just such a group. 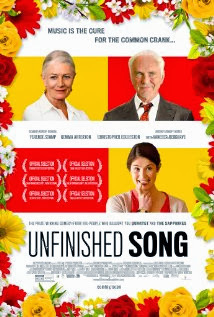 I am a sucker for British films and this one has many of my favorite British actors, both famous and faces - Vanessa Redgrave, Terence Stamp (who is aging well, I might add), Christopher Eccleston (an ex-Dr. Who), etc. Redgrave is dying, her husband (Stamp) is a crusty old fart who doesn't approve of the chorus. You can probably guess how it all goes, but it's still fun, touching, shows the redemptive power of music and is well done as the Brits always do. Rosy the Reviewer says...you will cry. Young Pakistani man attends Princeton, gets high-powered, high paying American job only to be radicalized because of profiling and discrimination after 9/11. It begs the question: what do you expect when an educated Pakistani on the fast track in the financial world is suddenly a person of interest, strip searched, profiled and constantly humiliated because of how he looks? Rosy the Reviewer says...if you like a thriller with a message, you will like this. The main character says, "What was soft inside me fell away and was harder." 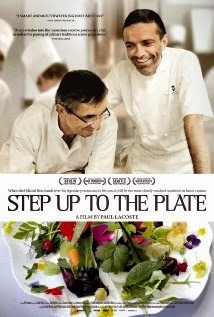 Documentary about French 3-star Michelin chef Michel Bras passing the baton to his son, Sebastien. If you are not a foodie, you might not be interested in all of the foraging and plating. But if you wonder what it takes to be a 3-star Michelin chef, here it is. Personally, I can relate as Mr. Bras leaves his profession and passes his restaurant to his son. I retired from my profession as a librarian at the same time my daughter is entering it. It is an interesting feeling to turn the reins over to the younger generation and come to grips with your own mortality. Rosy the Reviewer says...If you liked Jiro Dreams of Sushi, you will like this, though it's not quite as riveting...or if you are a foodie, tres interessant! Director Cronenberg had me with "The Fly," scarred me for life with "Dead Ringers," and lost me forever with this piece based on the Don DeLilo novel. 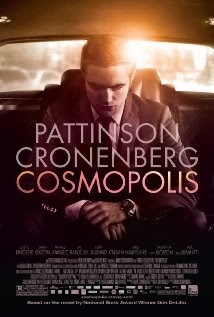 Eric Packer (Robert Pattinson), a financial magnate, is in his stretch limo on the way across town to get a haircut. Most of the action, if you can call it that, takes place in the limo as it slowly makes its difficult way across town. It's Kafka in a stretch limo. Some critics thought the ride was worth it. Rosy the Reviewer says...it wasn't. There is an expression: Don't do the crime if you can't do the time. n this film it's the other way around. Hapless Henry goes to jail for a crime he didn't commit but when he gets out he decides if he did the time, he might as well do the crime! 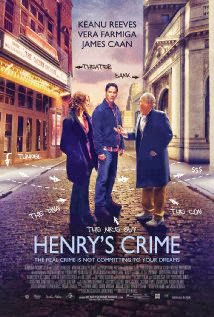 Fun to see James Caan again and Vera Farmiga is great but Keanu Reeves is the king of underplaying. Never seen anything like it. Love the Chekov references. Rosy the Reviewer says...worth it just to see James Caan show his fellow inmates how he gets to stay in prison by acting like a madman to the parole board. Prison is home. A fun little gem. Some insight into the person who will be the future Queen of England. 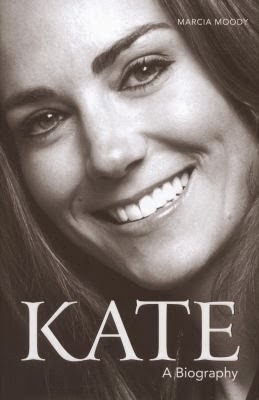 Also a fun look at the early lives and courtship of William and Kate. Am I a Royal watcher? Duh. Rosy the Reviewer says...a must for Royal watchers. Recipes: I love to collect recipes out of magazines. I read "Cooking Light," "Taste of Home," "Everyday with Rachael Ray" and the Food Network Magazine. But now I have this huge folder of recipes I want to try. It's getting the better of me, so I have decided that I will just blindly choose one out of the folder and no matter what it is, I will make it that day. So far I have made a wonderful Thai Steak Salad and Maple-Glazed Chicken Wings. Rosy the Reviewer says... Create your own cookbook. My mother kept a little recipe box with index cards of recipes. I use a photo album and cut out the recipes and stick them under the plastic page. Voila. A cookbook by Rosy. Restaurants: I hate big menus. Gordon Ramsay is right. A restaurant with a 4-page menu cannot possibly cook everything well. Besides, I can never decide what to order and when I do finally order, it's always the wrong thing! I like a small menu with about 10-15 things on it, all seasonal and local. And when they ask you how you want your meat or fish prepared, say whatever the chef feels is best. Then you know you are a foodie. Rosy the Reviewer says...for the best restaurant experience look for small menus and defer to the chef. Black and white is always in fashion, especially this fall. You will look instantly put together and it's easy to pull off. See? 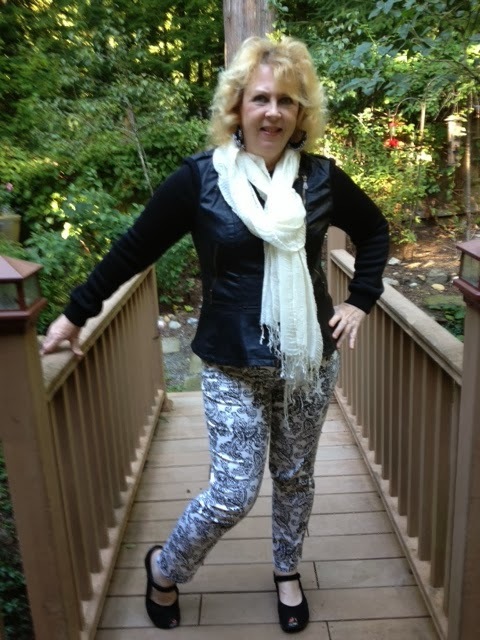 Rosy the Reviewer says...If you are scared of print and pattern mixing, which is all the rage this fall, try your pattern and print mixing with black and white and it's almost a gimme (not shown here but a black and white striped shirt would look just as good). I found Step up to the plate to be very interesting, having eaten at Michel Bras soon after he opened his new resto, probably 20 years ago. His food was the highest quality, although Laguiole is really off the beaten path, but in a very beautiful part of France. Years later, I acquired a REALLY extravagant set of Laguiole steak knives.